The Indian Constitution envisages a Parliamentary form of Government. Under such system, the President is the Head of the State but not the Head of the Government. The Head of the Government is the Prime Minister. Though the executive powers are vested in the President, he is constitutionally obliged to exercise his executive powers with the aid and advice of the Council of Ministers headed by the Prime Minister. The essence of the Parliamentary form the Government, therefore, is that the Head of the State is the Constitutional or formal head and the real executive powers are vested in the Council of Ministries which is responsible to the Lower House. The Members of the Council of Ministers are necessarily members of the Legislature. The President cannot exercise his executive powers without the aid and advice of the Council of Ministries. He can do nothing contrary to the Council of Ministers advice nor can he do anything without its advice. 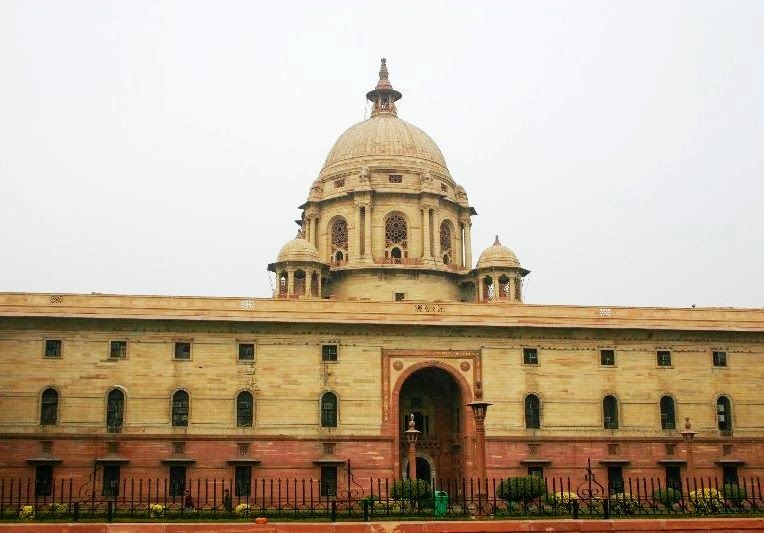 Even after the dissolution of the Lower House (Lok Sabha) the Council of Ministers is in existence to aid and advice the President in the exercise of his executive powers. It is obligatory on the President to always have a Council of Ministers. Wherever the Constitution requires the satisfaction of the President, it is not the personal satisfaction of the President, but it is the satisfaction of the Council of Ministers. The President is bound by the advice tendered by the Council of Ministers enjoying the confidence of the Lok Sabha. If he ignores the advice or acts contrary to the advice of the Council of Ministers, he can be impeached for the violation of the Constitution. He cannot dismiss the Council of Ministers, having the solid support of the Lok Sabha, in his discretion. So long as the Council of Ministers has the confidence of the Lok Sabha, the President is literally bound by its advice and in reality, it is the President who is cast in the role of an adviser. Thus, the President of India, as described by Dr. B.R. Ambedkar in the Constituent Assembly, occupies the same position as the King or Queen under the English Constitution. He is the Head of the State but not the Executive. He represents the nation but does not rule the nation. He is the symbol of the nation. His place in the governance of the country is more of a ceremonial device or a seal by which nations decisions are made known. President vis-à-vis the aid and advice tendered by the Council of Ministers, before and after the 42nd Constitutional Amendment Act, 1976. Before the 42nd Constitutional Amendment Act, 1979, there was no provision, in the Constitution which made the advice of the Council of Minster obligatory on President. Article 74 merely stated before the 42nd Constitutional Amendment Act, that there shall be Council of Ministers, with the Prime Minister at the head to aid and advice the President but this provision was taken to be binding on the President on the basis of the convention established under the English Parliamentary form of Government, which the Constitution of India has adopted. Further, the Supreme Court in a number of cases has held that as long as the Council Ministers enjoys the support of the Lok Sabha, the President is bound by the advice of the Council of Ministers. The 42nd Constitutional Amendment Act, 1976, in order to put it beyond doubt, amended Article 74 and made the advice of Council of Ministers constitutionally binding on the President. The 44th constitutional Amendment Act, 1978, further amended Article 74 by adding proviso to it. Under the proviso, the President may require the Council of Ministers to reconsider such an advice, but the President is bound to act in accordance with the advice tendered after such reconsideration. Even after the changes introduced by the 42nd and 44th Constitutional Amendment which made it obligatory for the President to act on the advice of the Council of Ministers, the President still enjoys the right to be consulted, the right to encourage and right to warn the Council of Ministers. Though the President is not directly connected with the decision making power of the Cabinet, yet Article 78(a) casts on the Prime Minister to keep the President informed of all the Cabinet decisions concerning, the administration of the affairs of the Union and proposals for legislation and furnish all the information asked for by the President in the regard. The President can also ask the Prime Minister to submit a matter on which a decision has been taken by an individual minister but which has not been considered by the Council Ministers, for its consideration. In addition to this, through advice and criticism also he can influence the decisions of the Cabinet. However, it has to be admitted that the influence of the President is purely of an advisory character. (a) Appointment of the Prime Minister [Article 75 (1)] under a situation when no single political party commands clear majority support of the Lok Sabha. (b) Appointment of a Prime Minister in case of vacancy due to sudden death of the incumbent, where there is no acknowledged leader due to inability of the legislature party to do it or in case of absence of a settled seniority among cabinet members and a name for the Prime Minister is proposed from the outside. (c) Dissolution of Lok Sabha on the advice of the Council of Ministers which has lost the support of majority members of Lok Sabha or against whom a vote of no-confidence may have been passed. (d) Dismissing Ministries [Article 75 (2)] in case the Council of Ministers has lost the confidence of the House but refuses to resign. Under the above situations, the role of the President becomes significant, crucial and decisive because he has to act according to his own wisdom, discretion and judgement. The President is faced with these kinds of situation more often from 1990 onwards. In the recent past, the phenomenon of no particular party commanding majority support has been more frequent, leading to the rise of coalition politics both at the Centre and in the States.